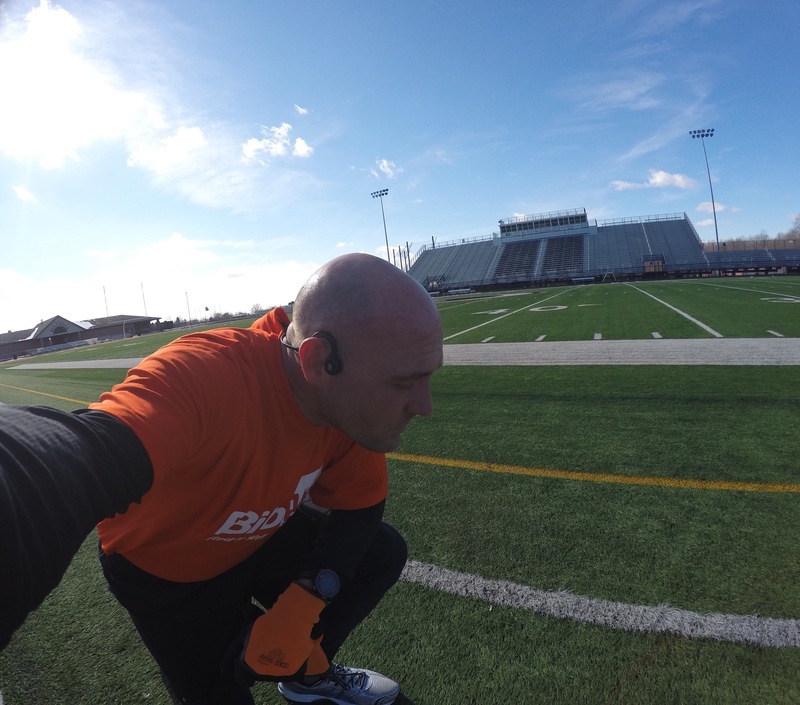 As a runner I spend a great amount of time training and on the road listening to music and podcasts. When I’m not running I’m usually on a conference call. What I have experienced with both when wearing earbuds, was I needed to leave one out to be engaged with my surroundings. 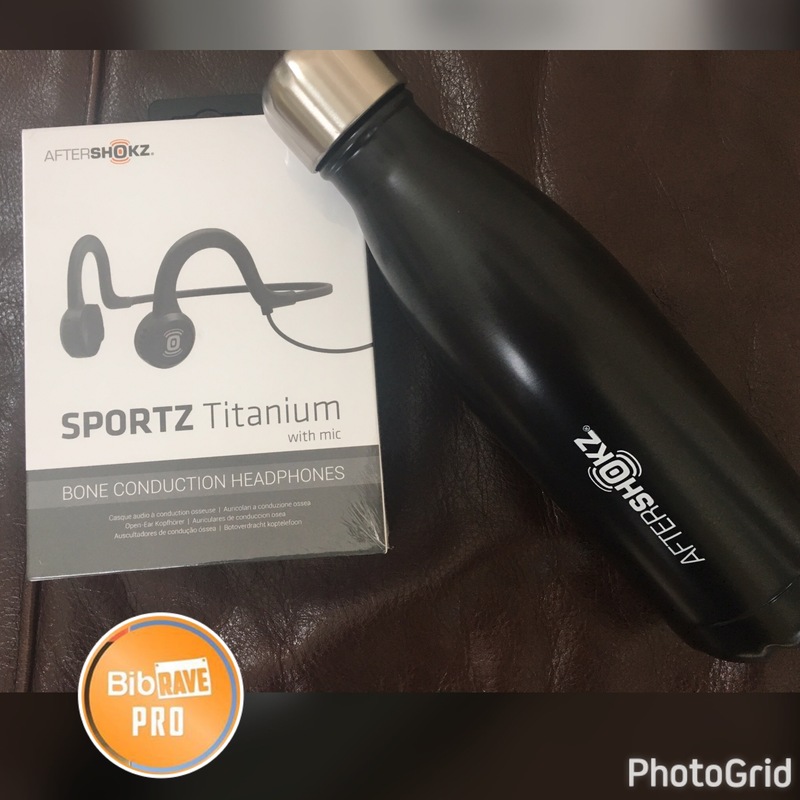 Well in come Aftershokz’s line of bone conducting headphones and the Sportz Titanium w/ microphone. What exactly is a bone conducting headphone? The brief description is this, “Bone conduction is a natural part of the hearing process-sound travels through our eardrums and bones simultaneously.” Aftershokz has taken the concept further and developed a set of headphones that “guide mini vibrations through the cheekbones to the inner ear, delivering sound without plugging or covering them.” Yeah right?!?! is the exact thought I had as well. So the Sportz Titanium set of headphones arrived and like I mentioned before was very skeptical of not only that they would work, but that I would prefer the look and feel. I opened up the box and was immediately excited to give them a try. A light weight titanium headband (1.48 oz) which fits over the ears and has a reflective strip on the back. Sweat and harsh weather resistant will keep these delivering quality sound for years to come. The fit is one size fits all, they do have specific ones designed for kids. 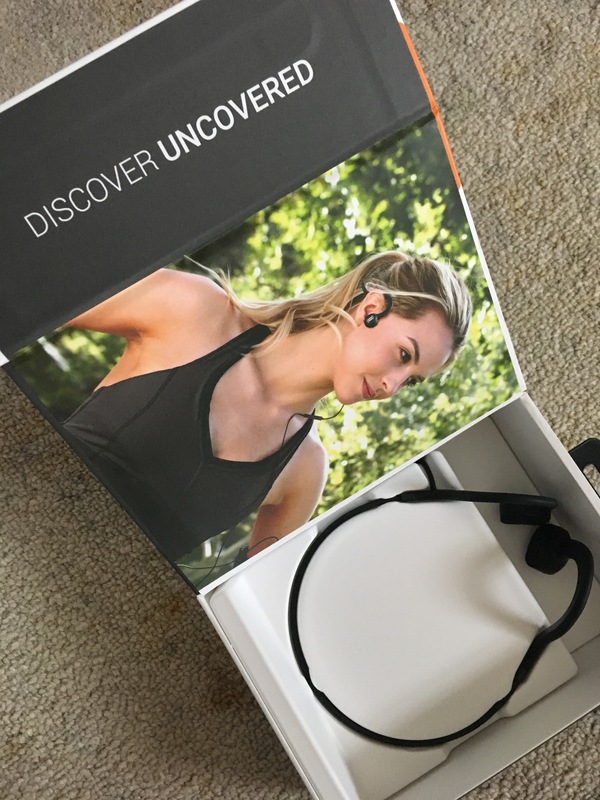 “Discover Uncovered” is the perfect way to describe these headphones. I slipped them on in a few seconds, plugged the connector into my phone and fired up the battery device. (Yes the wired version of these need to be charged once every 12 hours.) Let me just say I was extremely pleased with the crisp clear sound produced from these. It was time for a run…or so I thought. My first run with these deepened the love affair I was developing with my AfterShokz. I not only could enjoy my music or podcasts, but could clearly hear the environment around me. (Wait there are birds where I run?!?!). This albeit with the volume only midway. One thing I did notice was I now could hear items flopping around in my pocket that soon became annoying. I also was skeptical that the headphones would stay in place during my run, due to my sweaty nature. Yep I was wrong again. The AfterShokz’s did not move in the slightest bit. How many of you wearing earbuds have had to adjust them as they slip out of your ears?!?! Huge upgrade here. As for the battery pack, after 8 runs I finally had to charge these up, if you remember to turn them off after a run. Very easy to do as you plug in the USB provided into a wall outlet or your laptop. Red equals charging and blue equals run time! Just don’t forget to turn the battery pack on. Now on to the feature of the microphone. I spend a good deal of my day on conference calls whether at home, in the car, airports, and running. What I like about these is the clear quality sound that is produced. Not once did I have someone on the conference call say, “We can’t hear you.” Plus in my books! I also can’t comment how many times I’ve missed my boarding zone, because I couldn’t hear which zone was called…not anymore with my AfterShokz!!! 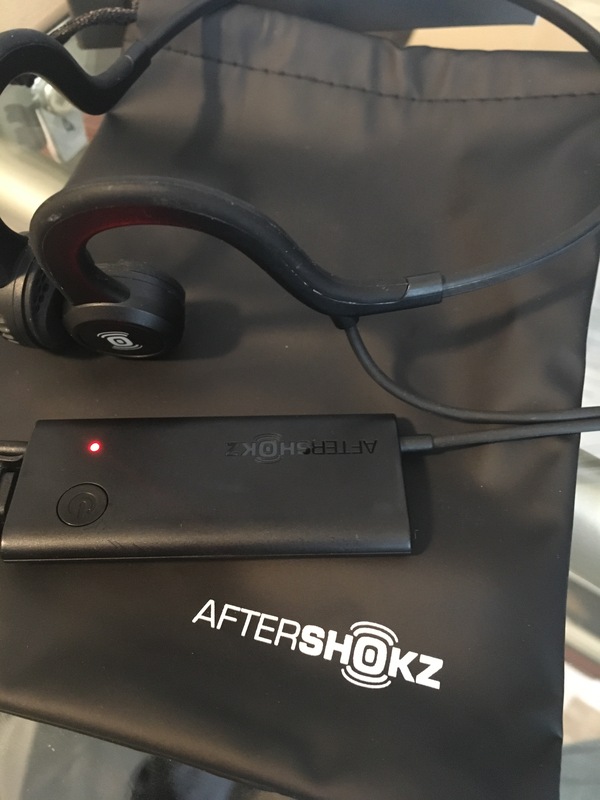 You can read all about the AfterShokz Sports Titanium headphones here. To the statement you have all been waiting for…Would I recommend buying these? You bet I would. 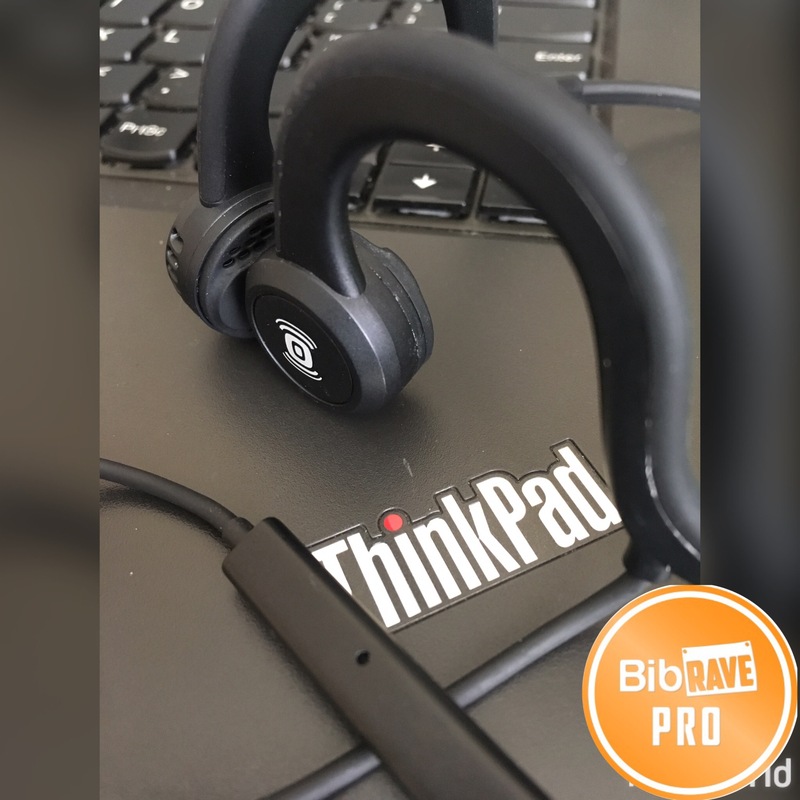 If you are searching for a set of headphones that not only keeps you connected to your surroundings, but delivering quality sound the Aftershokz Sports Titanium are it. The cons listed below are so minute that I give these a 4.75 out of 5 on the mmaynard11 rating scale! In addition when you order from here you will get the sweet water bottle pictured above. Follow AfterShokz on their website, Facebook, Twitter and Instagram. So what do you use headphone wise while out running? 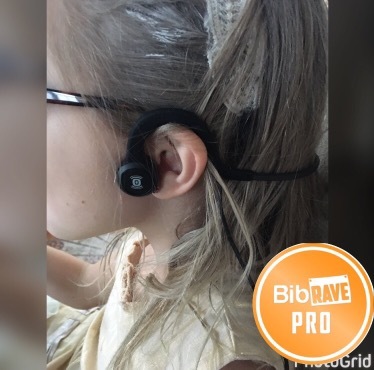 Have you ever tried bone conduction headphones before?